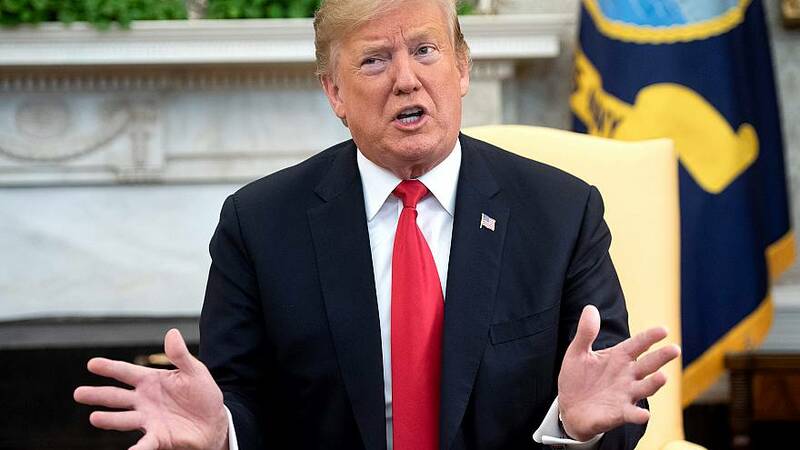 WASHINGTON — President Donald Trump said on Wednesday that if the Supreme Court were to overturn the Affordable Care Act, Republicans would have a policy plan that is "far better." "If the Supreme Court rules that Obamacare is out, we'll have a plan that is far better than Obamacare," Trump told reporters in the Oval Office during a press event Wednesday morning. "It's far too expensive for the people, not only for the country." Trump also called President Obama's signature legislation a "disaster" and something "we can't live with in this country." President Trump has not provided details yet about what health care plan would replace the Affordable Care Act, also known as Obamacare. The president's comments on Wednesday came just one day after his administration called for the entirety of the ACA to be struck down. Although the Trump administration has called for changes to the ACA before, Tuesday's announcement marked a significant change in policy, and represented an opportunity for Democrats to shift the conversation back toward healthcare. Republicans have attempted and failed to repeal the ACA dozens of times without a replacement in place, most recently in 2017. If the ACA were to land in the Supreme Court again, as the Trump administration hopes, it would be the court's third time hearing a case related to its constitutionality.